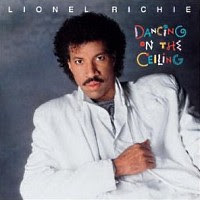 Lionel Richie, "Dancing On The Ceiling"
Now that we've gotten our theme song and the also-rans out of the way, we're free to play whatever we like in this space. It's a clean slate -- pick a year, pick a genre, pick a group, and play a song. So we might as well start things off with The Greatest Song In The History Of The Universe. This song really needs no introduction. You want more of it. Bow down before the greatness of Lionel Richie's "Dancing On The Ceiling," fools!